This two bedroom Guest House, attached to the main residence, is fully separate and complete with Living and Day rooms, country kitchen, laundry and private porch. Linden Hall was built in the 1790s, and added to several times through the 1800s. The home and showplace of an early cattle baron, it has evolved over time as a private residence with a guest house that is at once historic and upscale. The three bedroom Guest House, attached to the main residence, is fully separate and complete with Living and Day rooms, country kitchen, laundry and private porch. 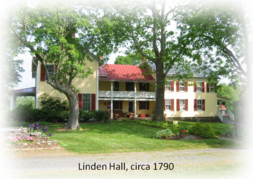 Linden Hall was built in the 1790s, and added to several times through the 1800s. The home was a showplace of an early cattle baron, and has evolved over time as a private residence with a guest house that has been recently renovated. 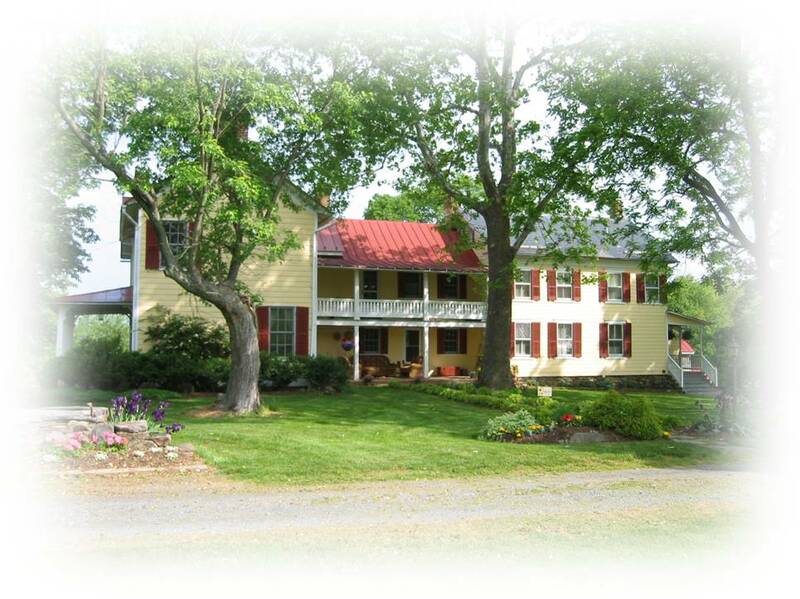 Our Bed and Breakfast style rental Guest House in Loudoun County VA is your home in the country for a week or a weekend -- a peaceful and central location near the many attractions of Northern Virginia, Washington DC, Western Maryland, West Virginia and Pennsylvania. Come hike on the C&O Canal or Appalachian Trail, raft or kayak on the Potomac or Shenandoah Rivers, tour the many local wineries, or visit historic Harper's Ferry or the many local Civil War battlefields, all within an hour or less scenic drive. Or, you can relax and enjoy the view of the beautiful Blue Ridge Mountains from your private porch, while sipping wine from the local vineyards. Or while cooling off in our exercise pool. Click here to view guest reviews on HomeAway.com.